You’d never guess to look at but actress Selena Gomez suffers with the disease Lupus – a condition caused by problems with the immune system whereby it attacks healthy cells and tissues. No young person should have to worry about such things, but Lupus can range from mild to life-threatening and in Selena’s case, it led to her needing a kidney transplant. 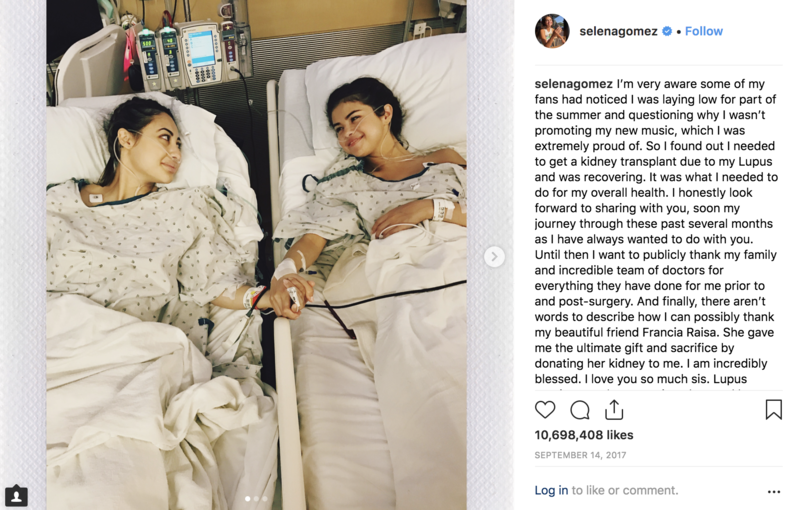 Her best friend, Francia Raisa, heroically donated her kidney for Selena – meanwhile my best friend wouldn’t even make me a cup of tea. That’s true friendship right there.